Global construction data is vital for contractors, governments, international organisations, policy makers, academic researchers and statisticians. As the global population of the world expands, the sustainability of the built environment rises up the political agenda and the need to manage infrastructure and buildings in both urban and rural contexts becomes ever more pressing. How much more can the built environment grow and how can it be managed sustainably? This edited volume is about finding a possible way through the inconsistencies between national construction data sets to devise a consistent approach to national construction data to further the global sustainability agenda and inform policy making. This search begins in Part 1, which looks at the methods and definitions used in construction statistics in different countries. Part 2 considers examples of dealing with different types of construction data from the cost of materials, measuring work on high rise buildings and existing stock. In Part 3 the authors consider construction data internationally, beginning with the problem of comparing data in different countries using exchange rates and purchasing power parities (PPPs), comparing innovation processes in different countries and looking at the provision of building design internationally. In the final section, the international theme is continued by comparing accounting practices and company performance in different countries, and concludes with an international comparison of construction industries. 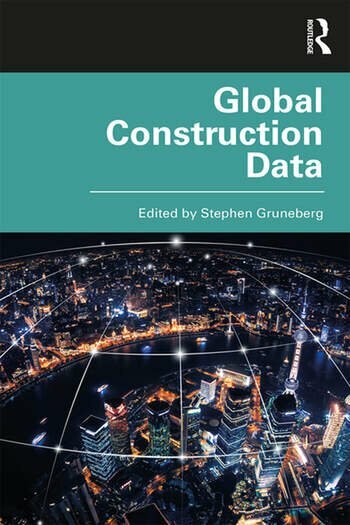 This book raises awareness of the significance of the construction industry globally and the importance of data to measure it. It informs the discussion of the best ways of handling the consequences of policies affecting the built environment and the effect of the built environment on the rest of the economy and society. It is essential reading for international economists, construction industry consultants, policy makers, construction statisticians and academics. A comparison of the construction output of the G7 countries.